There is nothing new about chapped lips in the winter...unfortunately it's kinda expected! Are you a habitual lip licker in the winter? Ugh...me too! (trying to break this habit currently). With all the holiday get-togethers and parties, you don't want to put on lipstick and see dry chunks of skin just sitting on top of your lips...we've all been there lol! I've put together My Top 5 Natural Products For Chapped Lips. Also, I compiled a list of common causes of the dreaded chapped lip. ✨Dehydration. Dry lips are a sign that your hydration levels are low. Dehydration upsets the natural balance of minerals in your body and wreaks havoc on your skin. ✨Vitamin deficiency. Your lips could be drying out if you aren’t getting enough of the moisturizing vitamins B2 (riboflavin), B1 and B6. ✨Not enough healthy fats in the diet. Your body produces sebum, our natural lubricant, from fatty acids. Not enough good fat = not enough skin lube. ✨Lip licking. The same chemicals in our saliva that kicks off digestion will eat away at your lip skin with excessive licking. There's no magic cure for this habit – you just need to stop! Grab the lip balm every time you feel the urge to lick. ✨Mouth breathing. You might also notice that when your nose is stuffy and you're forced to breathe through your mouth, your lips get chapped. It's not a coincidence. Do your best to keep your mouth closed and breath through your nose if possible. 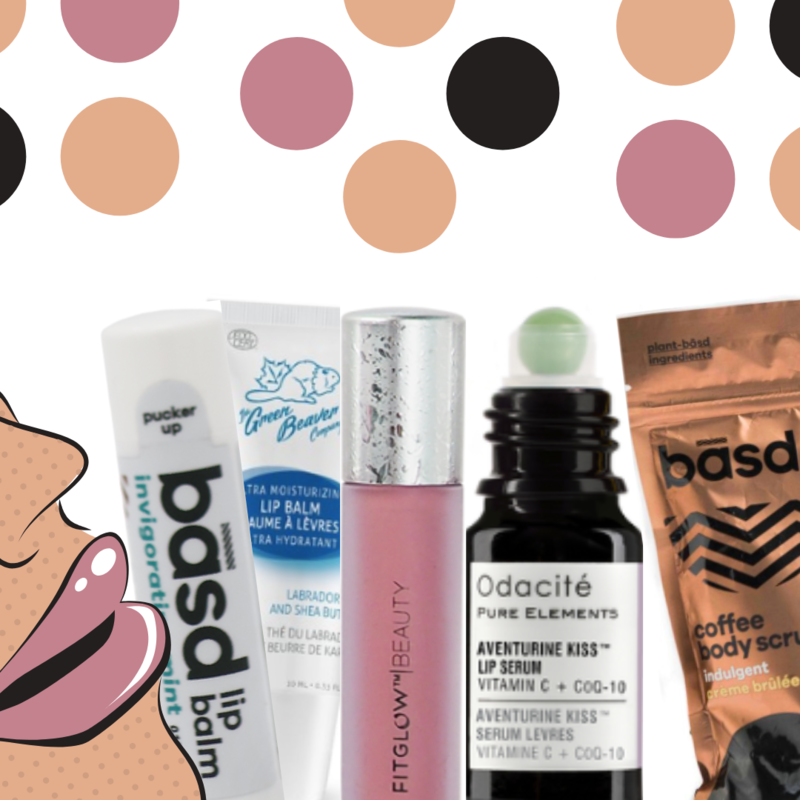 Now let's dive into my fav products for chapped lips. 1. BASD Lip Balm. I never leave home without this lip balm, and every purse I use has one inside...yes I'm obsessed! The mint in this balm gives the lips the perfect amount of plump while its other ingredients supercharge the lips with hydration. Best believe you'll wanna kiss and tell! Ingredients: organic coconut oil, organic sunflower seed oil, organic shea butter, candelilla wax, castor seed oil, avocado oil, mango butter, aloe vera oil, vitamin e, mint, tea tree oil. 2. Green Beaver Boreal Lip Balm. 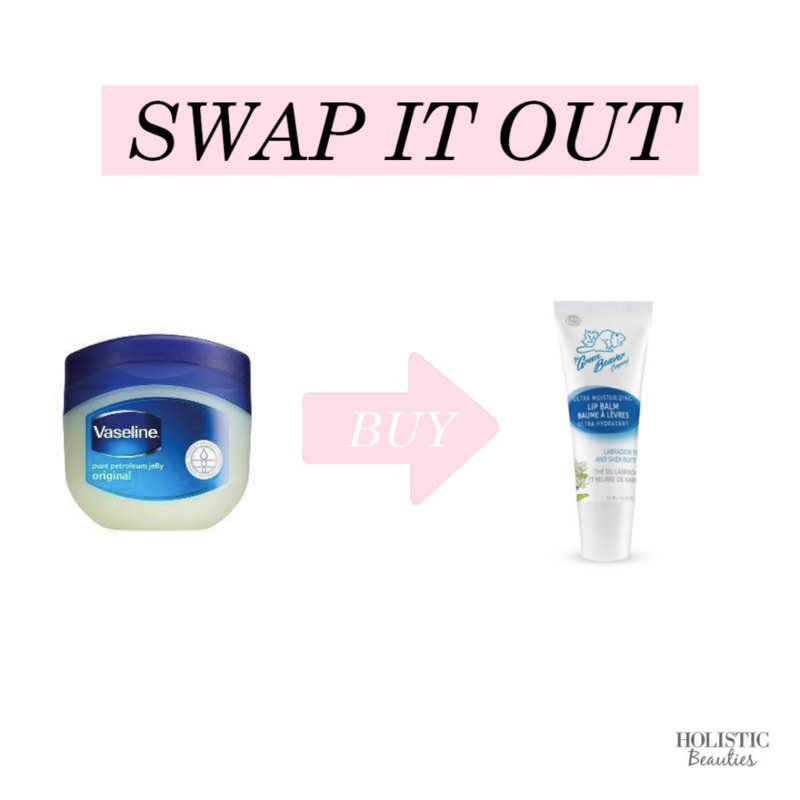 This gem is how I got my man off the dreaded vaseline. He swears by this lip balm and he's probably the pickiest person I know! Boreal Lip Balm is specially formulated to protect red, dry lips caused by arctic winds. Enriched with moisturizing organic shea butter and skin-healing Canadian-grown Labrador tea, this balm provides soothing comfort throughout the winter season. Unflavoured so you won’t lick your lips dry again! 3. Odacite Aventurine Kiss Lip Serum. I'll admit I was drawn to this product because of the cute crystal applicator, but this beauty is much more than just good looks! This triple-action serum is formulated for the vertical lines of the lip area, to prevent dryness and help plump the look of lips. Super-antioxidant CoQ10 is known for its ability to invigorate skin for a plumper and firmer look. Luxurious botanical oils help to prevent drying. Vitamins C & E work in synergy to improve and prevent the appearance of wrinkles. The Aventurine crystal applicator imparts the energy of this precious stone, known for bringing good luck and prosperity. 4. Lip Scrub. No matter how tempting, don't pick at dry, flaking lips. It won't end well. Instead, choose a gentle exfoliating lip scrub to remove dead skin. I always opt for basd coffee scrub, although it's made for the body it's deff multi-purpose! I like to put a small amount in a glass container and keep it by the sink so I remember to scrub with this instead of picking the skin. 5. 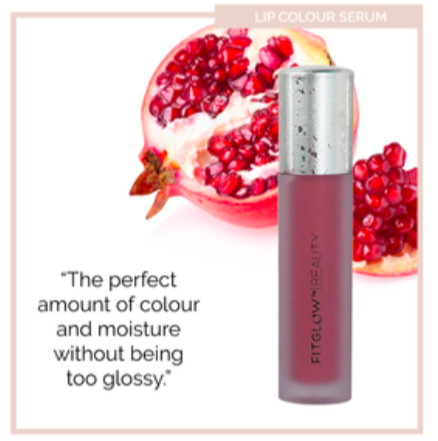 FitGlow Lip Colour Serum. Warning you may become addicted to this lip serum! This beauty goes beyond just adding color and hydration to lips. The plant-based gloss serum gently plumps without irritation. Organic pomegranate plant sterols, Beet Extract, Vegan Collagen, and antioxidants improve lip cell structure and health to diminish fine lines and leave lips full and soft.